Just some of the benefits of REN Vita Mineral Skincare Products are to reduce oxidative stress, prevent premature ageing, stimulate cell renewal and boost energy production in the skin. 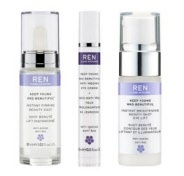 Why choose REN Vita Mineral over other REN skincare products? Suitable for all types of skin, this range is calming and centres on making the skin more radiant, supple and toned. What are any other benefits of using REN Vita Mineral? Reducing sensitivity and irritation, Strengthens the skins barrier, Prevents ageing and boosts a radiant glow. Prevent ageing, Protect and nourish with this rich REN Vita Mineral Emollient Rescue Cream. REN Vita Mineral Omega 3 Skin Serum aims to hydrate, firm, strengthen and protect the skin. This light and creamy Vitamin moisturising cream from REN shows to protect, prevents ageing and decongest using vitamin extracts. Rescue dry lips using this nourishing and repairing REN Vita Mineral Lip Balm. Comfort, freshness and moisturising actions make this REN Vita Mineral Active 7 Eye Gel an effective eye treatment. 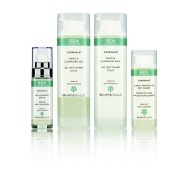 The REN Keep Young And Beautiful Range has a lifting and firming technology suitable for all ages. REN Clean Skincare Clarimatte Range is designed to normalize excess sebum and eliminate bacteria that causes skin imperfections.